where hss = sunset hour angle (degrees). Ht = monthly average daily total radiation on a tilted surface. Rb = monthly mean beam radiation tilt factor. It should be noted that, for the Southern Hemisphere, the term (L - (3) of Eqs. (2.108) and (2.109) changes to (L + (). For the same days as those shown in Table 2.5, the monthly average terrestrial insolation on a tilted surface for various months for latitudes -60° to +60° and for a slope equal to latitude and latitude plus 10° is shown in Appendix 3, Figures A3.3 and A3.4, respectively. For July, estimate the monthly average daily total solar radiation on a surface facing south, tilted 45°, and located at 35°N latitude. The monthly average daily insolation on a horizontal surface is 23.14 MJ/m2-day. Ground reflectance is equal to 0.2. A number of radiation parameters are needed for the design, sizing, performance evaluation, and research of solar energy applications. These include total solar radiation, beam radiation, diffuse radiation, and sunshine duration. 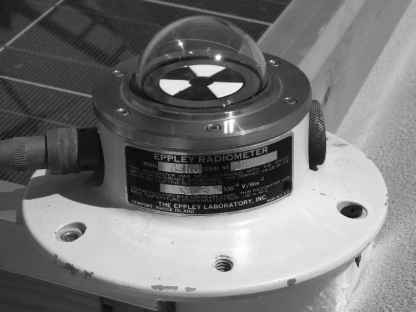 Various types of equipment measure the instantaneous and long-term integrated values of beam, diffuse, and total radiation incident on a surface. This equipment usually employs the thermoelectric and photovoltaic effects to measure the radiation. Detailed description of this equipment is not within the scope of this book; this section is added, however, so the reader might know the types of available equipment. More details of this equipment can easily be found from manufacturers' catalogues on the Internet. FiGuRE 2.29 Photograph of a pyranometer. element at the bottom of a tube pointing directly at the sun. Therefore, a two-axis sun-tracking system is required to measure the beam radiation. Finally, sunshine duration is required to estimate the total solar irradiation. The duration of sunshine is defined as the time during which the sunshine is intense enough to cast a shadow. Also, the duration of sunshine has been defined by the World Meteorological Organization as the time during which the beam solar irradiance exceeds the level of 120 W/m2. Two types of sunshine recorders are used: the focusing type and a type based on the photoelectric effect. The focusing type consists of a solid glass sphere, approximately 10 cm in diameter, mounted concentrically in a section of a spherical bowl whose diameter is such that the sun's rays can be focused on a special card with time marking, held in place by grooves in the bowl. The record card is burned whenever bright sunshine exists. Thus, the portion of the burned trace provides the duration of sunshine for the day. The sunshine recorder based on the photoelectric effect consists of two photovoltaic cells, with one cell exposed to the beam solar radiation and the other cell shaded from it by a shading ring. The radiation difference between the two cells is a measure of the duration of sunshine. • ISO 9059 (1990). Calibration of field pyrheliometers by comparison to a reference pyrheliometer. • ISO 9060 (1990). Specification and classification of instruments for measuring hemispherical solar and direct solar radiation. This standard establishes a classification and specification of instruments for the measurement of hemispherical solar and direct solar radiation integrated over the spectral range from 0.3 to 3 |m. According to the standard, pyranom-eters are radiometers designed for measuring the irradiance on a plane receiver surface, which results from the radiant fluxes incident from the hemisphere above, within the required wavelength range. Pyrheliometers are radiometers designed for measuring the irradiance that results from the solar radiant flux from a well-defined solid angle, the axis of which is perpendicular to the plane receiver surface. • ISO 9846 (1993). Calibration of a pyranometer using a pyrheliometer. This standard also includes specifications for the shade ring used to block the beam radiation, the measurement of diffuse radiation, and support mechanisms of the ring. 1. 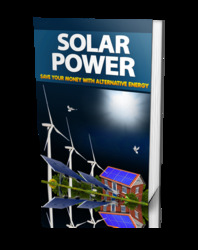 The determination of the energy available to flat-plate solar collectors. 2. The assessment of irradiance and radiant exposure in the testing of solar- and non-solar related material technologies. 3. The assessment of the direct versus diffuse solar components for energy budget analysis, for geographic mapping of solar energy, and as an aid in the determination of the concentration of aerosol and particulate pollution and the effects of water vapor. Although meteorological and resource assessment measurements generally require pyranometers oriented with their axes vertical, applications associated with flat-plate collectors and the study of the solar exposure of related materials require calibrations of instruments tilted at a predetermined non-vertical orientation. Calibrations at fixed tilt angles have applications that seek state-of-the-art accuracy, requiring corrections for cosine, tilt, and azimuth. Finally, the International Standards Organization published a technical report, "lSO/TR 9901: 1990—Field pyranometers—Recommended practice for use," the scope of which is self-explanatory. 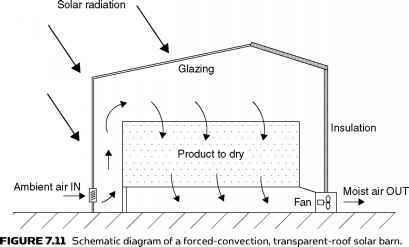 The operation of solar collectors and systems depends on the solar radiation input and the ambient air temperature and their sequences. One of the forms in which solar radiation data are available is on maps. These give the general impression of the availability of solar radiation without details on the local meteorological conditions and, for this reason, must be used with care. One valuable source of such information is the Meteonorm. Two maps showing the annual mean global solar radiation for the years 1981-2000 for Europe and North America are shown in Figures 2.30 and 2.31, respectively (Meteonorm, 2009). These are based on numerous climatological databases and computational models. Maps for other regions of the world can be obtained from the Meteonorm website (Meteonorm, 2009). For the local climate, data in the form of a typical meteorological year are usually required. This is a typical year, which is defined as a year that sums up all the climatic information characterizing a period as long as the mean life of a solar system. In this way, the long-term performance of a collector or a system can be calculated by running a computer program over the reference year. A representative database of weather data for one-year duration is known as the test reference year (TRY) or typical meteorological year (TMY). A TMY is a data set of hourly values of solar radiation and meteorological elements. It consists of months selected from individual years concatenated to form a complete year. The TMY contains values of solar radiation (global and direct), ambient temperature, relative humidity, and wind speed and direction for all hours of the year. The selection of typical weather conditions for a given location is very crucial in computer simulations to predict the performance of solar systems and the thermal performance of buildings and has led various investigators to either run long periods of observational data or select a particular year that appears to be typical from several years of data. The intended use of a TMY file is for computer simulations of solar energy conversion systems and building systems (see Chapter 11, Section 11.5). The adequacy of using an average or typical year of meteorological data with a simulation model to provide an estimate of the long-term system performance depends on the sensitivity of system performance to the hourly and daily weather sequences. Regardless of how it is selected, an "average" year cannot be expected to have the same weather sequences as those occurring over the long term. However, the simulated performance of a system for an "average year" may provide a good estimate of the long-term system performance, if the weather sequences occurring in the average year are representative of those occurring over the long term or the system performance is independent of the weather sequences (Klein et al., 1976). Using this approach, the long-term integrated system performance can be evaluated and the dynamic system's behavior can be obtained. In the past, many attempts were made to generate such climatological databases for different areas around the world using various methodologies. One of the most common methodologies for generating a TMY is the one proposed by Hall et al. (1978) using the Filkenstein-Schafer (FS) statistical method (Filkenstein and Schafer, 1971). The FS method algorithm is as follows: First, the cumulative distribution functions (CDFs) are calculated for each selected meteorological parameter and for each month, over the whole selected period as well as over each specific year of the period. To calculate the CDFs for each parameter, the data are grouped in a number of bins, and the CDFs are calculated by counting the cases in the same bin. The next step is to compare the CDF of a meteorological parameter, such as global horizontal radiation, for each month for each specific year with the respective CDF of the long-term composite of all years in the selected period. zi = value of the FS statistic for the particular month of the specific year and the meteorological parameter under consideration. j=i where M = number of parameters in the database. The user can change the WF values, thus examining the relative importance of each meteorological parameter in the final result. The smaller the WS, the better the approximation to a typical meteorological month (TMM). Applying this procedure for all months of the available period, a composite year can be formed consisting of the selected months with the smallest WS values. where x = the average value of its parameter over the number of bins (N = 31). A total of 8760 rows are included in a TMY file, each corresponding to an hour of the year. The format of TMY file suitable for earlier versions of the TRNSYS program is shown in Table 2.6.
aIB = Direct (beam) normal solar radiation (integrated over previous hour) in kJ/m2. bI = Global solar radiation on horizontal (integrated over previous hour) in kJ/m2. cDegrees X 10 (°C). dHumidity ratio (Hr) in kg of water/kg of air X 10,000.
eDegrees X 10, expressed as 0 for wind from north, 9 for east, 18 for south, and so forth. data value was measured, modeled, or missing and provide an estimate of the uncertainty of the data value. By including the uncertainty flags, users can evaluate the potential impact of weather variability on the performance of solar systems or buildings. The first record of each file is the file header that describes the station. The file header contains a five-digit meteorological station number, city, state (optional), time zone, latitude, longitude, and elevation. The field positions and definitions of these header elements, together with the values given for the TMY2 for Nicosia, Cyprus (Kalogirou, 2003), are shown in Table 2.7. Following the file header, 8760 hourly data records provide a one-year record of solar radiation, illuminance, and meteorological data, along with their source and uncertainty flags. Table 2.8 gives field positions and element definitions of each hourly record (Marion and Urban, 1995). Each hourly record begins with the year (field positions 2-3) from which the typical month was chosen, followed by the month, day, and hour information and the rest of the data as shown in Table 2.8 (Kalogirou, 2003).